1, Good components: Siemens Beide main motor, ABB inverter, Siemens & Schneider low voltage electrics, RKC temperature controller 2, Good design and good outlook: We design the machine for easier operation and stable performance. The haul off machine and cutter is fully closed for safety purpose. Planetary socket is using in some machines for wire connection. 3. 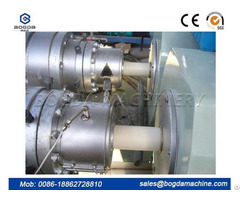 Our engineers and technicians have more than 10 years experince, they know pipe machine well and make good pipe machine. 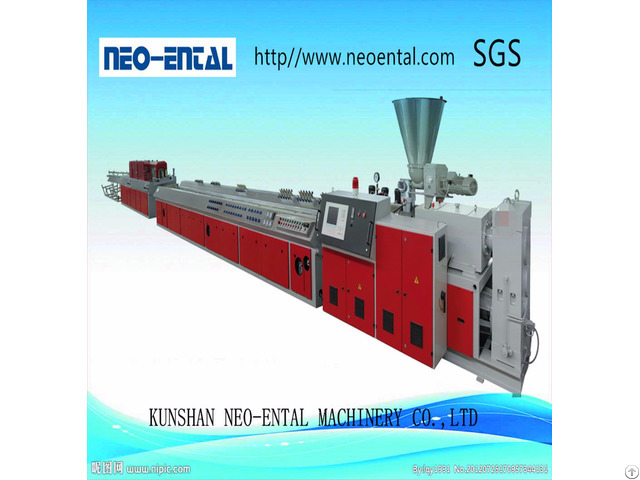 Business Description: Kunshan Neo-ental Machinery Co., Ltd is a professional manufacturer of plastic extrusion equipment from China. Our core team has been in this line for about 15 years. 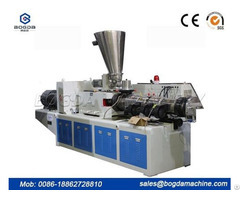 We always focused on the innovation and creativity of plastic extrusion machine. 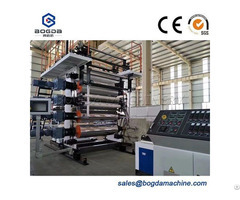 Full automatic winding machine, clean cutting machine, forced feeding system, high yield screw and mould, etc. A series innovation achievements make the extrusion machines of Neo-ental are well received when it came out. Our products have a ready market in some countries like India, Russia, Indonesia, Brazil, etc, enjoying wide acclaim.